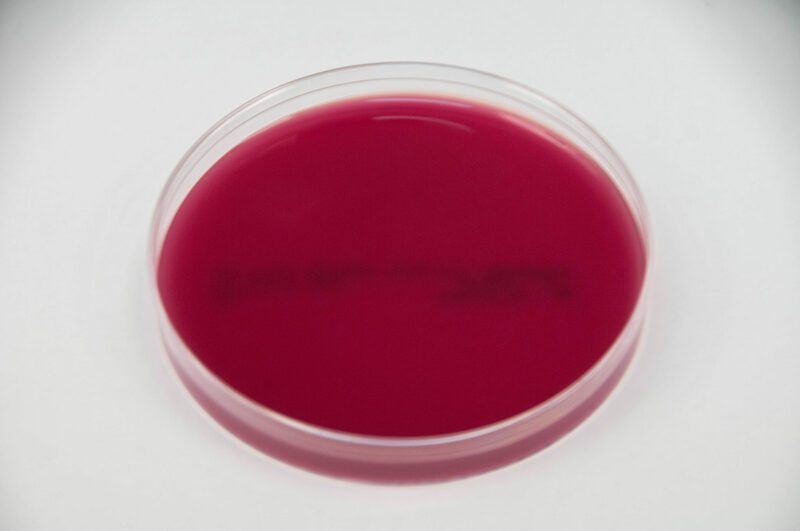 Porphyromonas Gingivalis Agar (P.GING) is an enriched selective medium used for the isolation and presumptive identification of Porphyromonas gingivalis. P.GING agar is an enriched selective medium used for the isolation and presumptive identification of Porphyromonas gingivalis. The nutritive base consists of casein, heart/meat digest, and yeast extract. The selective agents include colistin, nalidixic acid, and bacitracin at concentrations that inhibit most other organisms. Colistin and nalidixic acid inhibit most aerobic and facultatively anaerobic gram-negative bacteria, while bacitracin is almost exclusively an inhibitor of gram-positive bacteria. This medium is prepared, dispensed, and packaged under oxygen-free conditions to prevent the formation of oxidized products prior to use. If used properly, P.GING agar will support good growth of Porphyromonas gingivalis found in clinical infections. P.GING agar will not provide complete information for identification of bacterial isolates. Additional test procedures and media are required for complete identification. It is recommended that a non-selective media, such as Brucella Blood Agar (BRU, catalog #: AS-111) also be inoculated from the same clinical specimen to assure recovery of all species present. Consult reference materials for additional information.